Click Here To See Who's Who in the DC Universe #11 Comic Book! 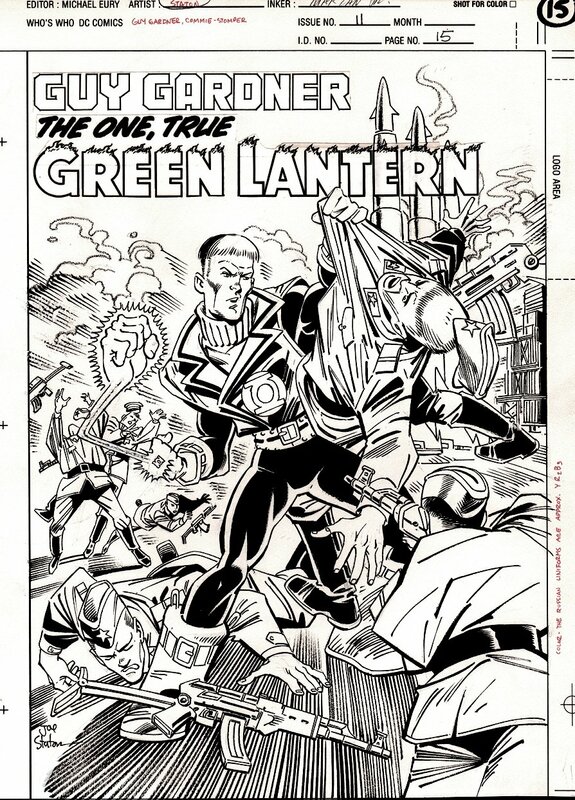 Check out this very nice 1991 GREEN LANTERN cover, which was penciled by the great Joe Staton, and inked by Jose Marzan! 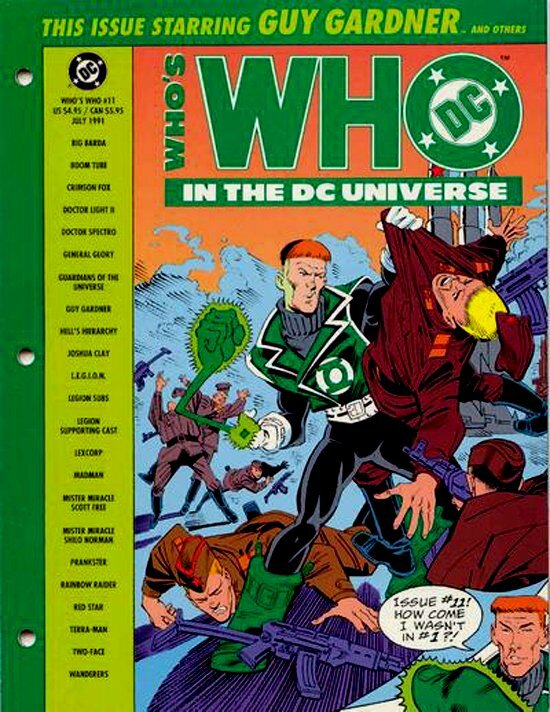 This awesome cover features GUY GARDNER battling 5 soldiers with guns, as he punches them all with his classic GREEN LANTERN RING FIST! TGhe very bottom border is cut just below the drawn image area. No drawn art is missing thankfully! Joe Staton first broke through as a name in comic book art with his co-creation of E-Man at Charlton Comics in the early 70s. In the 80s, he was a major contributor to Green Lantern and SHOWCASE Comics for DC! Compare this nice cover art to the published comic book in the red link above! ALL art on our website (including this one) are able to be purchased with VERY fair time payments, and trades are always considered towards "ANY" art on our website! Just send us an email to mikeburkey@aol.com and we can try to work something out.